The weather had me jonesin’ bad for stuffed cabbage rolls. A nice sunny day was a mean joke because the cold and snow returned, and I wanted something warm and comforting for dinner. 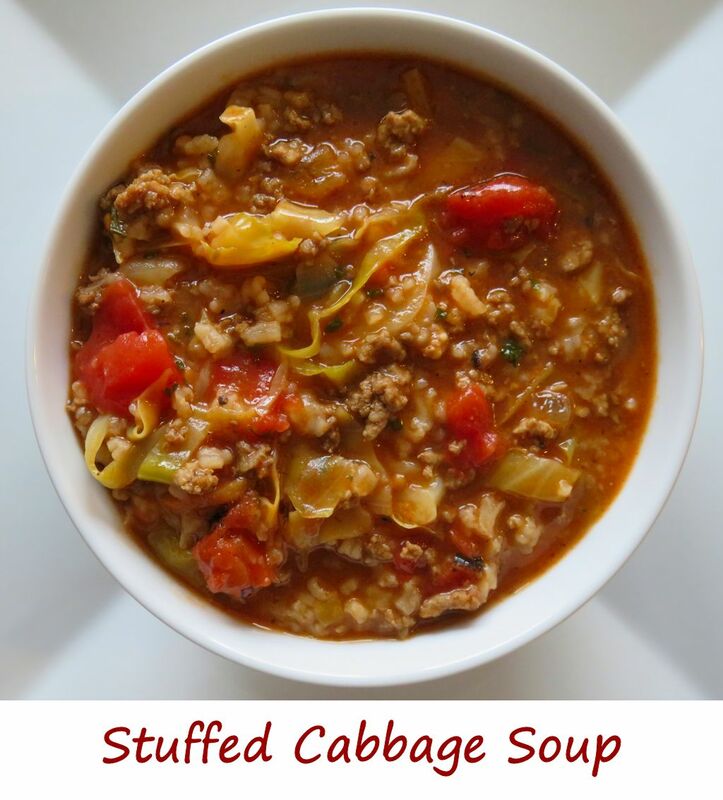 No need to mess with making actual cabbage rolls, this soup combines all the same great flavors in a bowl without having to worry about stuffing boiled cabbage leaves. Anita proclaimed it ‘one of the best things we’ve ever made’ and I agree. Don’t get me wrong, there’s nothing wrong with traditional stuffed cabbage rolls. I’ve made them in the slow cooker. I’ve even made them on my smoker. But this stuffed cabbage soup is fantastic. Don’t let the seemingly long list of ingredients deter you from making it, either. It’s actually very simple. Also try my bacon-smothered cabbage. Heat two tablespoons of olive oil in a medium sauce pan over medium-high heat. Stir in 2 cups of the chicken stock. Bring to a boil, then reduce heat to a simmer. Cover and let simmer 15-20 minutes or until the rice is tender. Meanwhile, in a large pot over medium-high heat add the remaining 2 tablespoons of olive oil. Crumble in the beef and pork and cook until just starting to brown. Add the allspice, coriander, paprika, salt, pepper, bay leaf and dill. Stir. Add the onion, garlic and carrot and cook until the onion just starts to soften. Add the cabbage. Stir and cook until wilted. Stir in the remaining 4 cups of stock, diced tomatoes and stir tomato sauce. Bring to a boil then reduce to a simmer. Stir in the cooked rice and season with more salt and pepper to taste. Simmer for 5 more minutes then stir in the parsley.